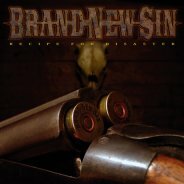 Brand New Sin has released their latest album, "Recipe For Disaster"
At first, when seeing the label they are on, I expected something different. And was surprised with what was presented. 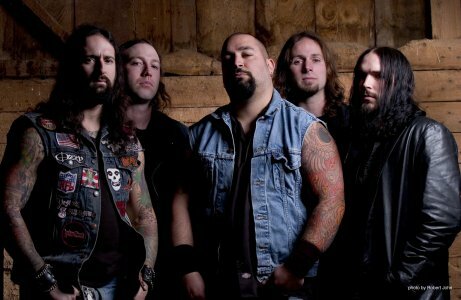 This five piece is throwing out Metal, heavily influenced with classic / southern rock. Very bluesy and gritty. A definate down home flavor to it. Like B.L.S. meets Down at your favorite pub. The album kicks off with "Arrived". Starts off with the familiar popping of a brew. It has a groove to it that is sure to inspire beer fueled aggression. With plenty of harmonic bends with a very anthem feel to it. "Brown Street Betty" has a very classic rock feel to it. It almost sounds familiar in it's delivery. Bluesy leads, and classic break downs, that gave that genre it's flavor. "Running Alone" Is an acoustic work, that has a bayou flavor to it. It has a raw and gritty feel. "Vicious Cycles": The essential heavy ballad. You can almost feel yourself drinking a few beers and chilling with the guys. While the album is sound, and the musicians are certainly talented, it really does not hold any surprises. It does not reach out and grab you. It's not bad, not superb, but fairly good. If you like Classic Heavy Southern Rock / Metal: It is a decent album. For extreme metal listeners... You would probably want to avoid this one. The break down...This album is ok.